There is a difference between adding a twist to a film and omitting information from the first half of your story in order to make the second half more compelling. No Good Deed falls victim for confusing the latter for the real thing, and that is only the start of its many troubles. Colin Evans (Idris Elba) is an unstable serial killer with a mysterious criminal history that is explained at length during the opening credits of No Good Deed. He’s suspected of far more crimes than police have been able to prove, and as a result he’s able to appear before a parole board less than a decade after his initial conviction. His speech is good, even great at times, but the board does not trust Evans enough to set him free. Frustrated, not to mention being generally maniacal, Evans quickly plans and executes an escape before being returned to prison. It takes less than fifteen minutes for everything mentioned above to take place, which is unfortunate because they also happen to be the only moments in No Good Deed that offer any sense of tension whatsoever. Once free, Evans goes to see a former lover only to soon realize that she has moved on. The news that he is indeed as alone as he always feared while locked away shatters whatever sense of humanity is left in Evans, and the women he encounters from this point forward must suffer the consequences. This includes deception, abuse, and just enough shirtless moments to cut together a sensual sizzle reel to better engage the female demographic. 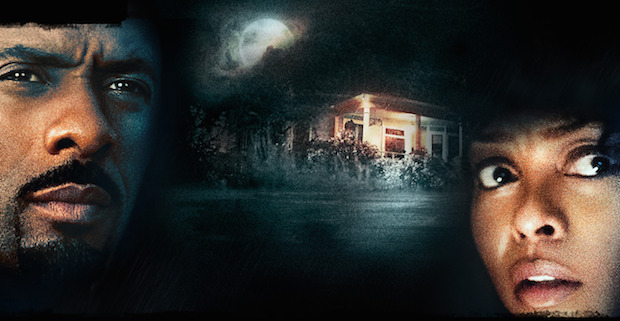 Home invasion films are nothing knew, especially those dealing with someone entering a home under false pretenses, but No Good Deed makes the unique decision to offer no original ideas or twists whatsoever during its 84-minute runtime. We know Evans is bad from the start, and the way he treats the characters he encounters prior to entering the home at the center of the story tells us everything we need to know about how he treats others. More importantly, we understand that Terri, the woman who inhabits the home Evans enters, hasn’t the slightest clue there is a killer on the loose. Director Sam Miller treats this information as the stuff that creates tension, failing to recognize that in order to have suspense there needs to be a sense of mystery in the air. The only mystery is why Evans chooses the house Terri lives in, but the audience is also never given a reason to care about his selection until it’s used to create an unnecessary twist late in the third act. That’s not smart writing, it’s sloppy. The only reason anyone should make time for No Good Deed is that it provides one more opportunity for American audiences to witness the profound talent of Idris Elba. That said, he and every other good thing this film has going for it are wasted in an half-assed attempt to deliver what feels like the most generic home invasion film of all time. It’s bland, lifeless, and altogether forgettable. Worse than all of that however, is the fact the film is also not at all fun. Without any real reason to care about the characters there is really no reason to care about whether they live or die. They simply exist, for a while at least, and then the credits roll and you’re left feeling like you just paid someone $13 to steal an hour and a half of your life. With the month of October right around the corner it may be tempting to get a head start on the scary movie season by purchasing a ticket for No Good Deed, but doing so would be the first step towards having the worst Halloween of your life. Avoid No Good Deed at all cost. Don’t even watch it when it arrives on Netflix. You deserve better, just like the cast and production staff deserve to have their names attached to something that offers something akin to entertainment. This is mean for the sake of being mean, and if you pay to see it there is 99.98% chance you will walk away feeling cheated.